In 1940, desperation drove them to Marseille, the only working port in the section of France that the Germans didn’t occupy, and fear made them search over their shoulders for shadows and sense evil pursuers that they couldn’t yet see. They were not hardened criminals, but rather artists like Marc Chagall and sculptor Jacques Lipchitz, authors like Franz Werfel, Hannah Arendt, Hans Habe, and biochemist Otto Meyerhof. They were Catholics, Protestants, Jews, rightists, leftists, centrists and people of other political affiliations, but they all had something in common. They had fought passionately for democracy and freedom and become enemies of the Third Reich. As part of the Armistice Agreement with Germany on June 25, 1940, France had to surrender people that the Nazis considered enemies of the state “on demand” to be sent to their deaths in Hitler’s Europe. The Vichy government refused to grant exit visas to the refugees so that they would be detained and eventually picked up by the Gestapo. Intellectuals and Jews and other people the Nazis hunted and were equally determined to live, although surviving grew more complicated as World War II sliced like a machete through individual lives and countries. Along with Jewish refugees, British soldiers, Czechs, Poles, Belgians, anti-Nazi Germans and many other refuges poured into Marseille that spring of 1940. They crowed into the hotels forcing them to rent even their bathtubs and any other available space. Marseille served as a port to freedom from France to Algiers, London, even America. For others it meant a place to confront the enemy and fight because even though the Nazis did not yet physically occupy Marseille, Marshal Philippe Petain and his collaborationist Vichy government controlled the port and tightened a diplomatic as well as surveillance net around refugees seeking to escape. Even if they did escape, there were few countries willing to grant them asylum. The United States had some of the most stringent immigration requirements. Mary Jayne Gold and Miriam Davenport came to Marseille focused on survival, their hearts were touched by the human tragedy surrounding them. Mary Jayne Gold and Miriam Davenport did not spend their early years in equal circumstances. Egbert Habberton Gold, Mary Jane’s father, had invented a vapor system for heating railroad cars and helped found the Vapor Car Heating Company of Chicago. The fortune he made from his invention assured a comfortable life for Egbert, his wife Margaret Jayne Dickey Gold, and their children Samuel born in 1905, Mary Jane born in 1909, an Egbert Habberton Gold, Jr., born in 1914. When Mary Jayne was four and the year before Egbert Jr. was born, Egbert Senior and Margaret decided that his family needed a summer home away from the frantic pace of city life and Egbert searched the Lake Michigan shore until he found Point Superior on Lake Macatawa adjacent to Lake Michigan in Holland, Michigan. Egbert Gold hired the architectural firm of Tallmadge & Watson in Chicago, and contractor H.M. Deam completed work on the house which Egbert Gold named Marigold Lodge for his wife and daughter, in November 1913. The grounds included a boathouse, barns, special walkways, and an extensive garden. Mary Jayne Gold enjoyed Marigold Lodge and its surroundings, but its beauty and serenity did not keep her from traveling to Europe and finally making her home on the French Rivera. The Gold family owned Marigold Lodge until Margaret Gold died in 1968. Since her husband Egbert had died years before in 1928, her son Samuel in 1944, and her son Egbert Jr. in 1959., her surviving child Mary Jayne gave Marigold Lodge and the land surrounding it to Hope College in Holland, Michigan. In1978, Hope College sold the lodge to Herman Miller, Inc., a Michigan furniture manufacturer, to use as a corporate events center. Mary Jayne Gold visited her ancestral summer home occasionally, but she didn’t make it her permanent home. After attending finishing school in Italy, Mary Jane Gold joined the lively Paris scene in the 1930s, and after the Nazis invaded France in 1940 and occupied Paris, she moved to Marseille. In Marseille, Mary Jayne Gold, the American Socialite, who had no money worries and could have gone home to America, met Varian Fry, also a WASP and a Harvard man, and Miriam Davenport, who had compelling reasons to remain in Europe and equally compelling reasons to return to America. In her memoir, Crossroads Marseilles 1940, that Doubleday published in 1980, Mary Jayne Gold recalled her arrival in Marseille with her dog Dagobert. She remembered the blaring of horns of years past and contrasted it with the present silence of the streets after the French Armistice with the Germans. Mary Jayne described herself as being rather at loose ends about where to go after leaving Marseille. She couldn’t see herself going to England because she didn’t believe she had any skills that would be useful in that country. She didn’t want to return to America, because her mother had remarried after her father’s death and she didn’t want to live with her mother and her stepfather. Besides, she added in her memoir, her family disapproved of her lifestyle even though she could well maintain it with her trust fund from her father. Then Mary Jayne met Varian Fry and reconnected with her new friend Miriam Davenport and her life changed again. Miriam Davenport was born in Boston, Massachusetts, on June 6, 1915. She studied art and architecture history at Smith College before spending a year at the Graduate Institute of Fine Arts at New York University. Then before she could graduate her parents died leaving her with large debts and the responsibility of a younger brother. She won a Carnegie summer art scholarship and then she decided that her best course of action toward getting a job would be to earn at degree at the tuition free University of Paris’ Institut ‘d Art et d’ Archeologie. Leaving her brother in care of relatives, Miriam journeyed to Paris. After the Germans invaded France in May 1940, the University of Paris closed down and the authorities would not renew Miriam’s expired passport and identity card, until finally with the help of her French friends she renewed her ID card to transfer at the University of Toulouse. She left for Toulouse the day after her ID card was renewed. Miriam decided to go to Marseille to discover how to obtain documentation from the American State Department. Miriam Davenport and Mary Jayne Gold resolved to do something to help the throngs of desperate refugees escape from the clutches of the Nazis, but they weren’t sure how proceed until the refugees learned that an American journalist named Varian Fry had arrived in Marseille to set up the American Relief Center as the Marseille office of New York’s Emergency Rescue Committee. Miriam visited Varian Fry and on August 27, 1940, two weeks after he had arrived, he invited Miriam to join his staff and Miriam persuade him to invite her friend Mary Jayne Gold to be a member of his staff. Former French official Daniel Benedite, also served on the Committee. Andre Breton, leader of the Surrealist movement of artists and writers that had begun in 1920s Paris, his wife, Jacqueline and little daughter Aube joined the community at Air Bel and soon other Surrealists flocked around Breton. Together, Miriam Davenport and Mary Jayne Gold worked with the refugees, the black market, and the people who resisted the Nazi occupation. They helped rescue ordinary people and the cultural and intellectual elite, and made expeditions into mountains, sea ports, and across hostile borders. They knew that their friendship would endure longer than the war. The Emergency Rescue Committee acquired phony passports and real and phony visas, sheltered refugees and organized escape routes to Spain and Portugal. Mary Jayne Gold’s money played a crucial part in these escapes, because visas and passports could be bought on the flourishing Marseille black market. The Committee helped more than 2,000 people escape the Nazis. Varian Fry recorded his impressions of the Committee and its work in his memoir, Surrender on Demand. Peggy Guggenheim wrote about Mary Jayne Gold’s contribution to the Emergency Rescue Committee in her memoirs, Out of This Century. “With them was a handsome American girl, Mary Jayne Gold, who gave them vast sums of money for their noble work in which she also took a hand. Peggy Guggenheim recalled that she had visited Air-Bel as part of her own plan to underwrite the escape of several of the Surrealist artists, including Max Ernst, who later became her husband. “I was not there to witness the worst, only the beginning. Even then, I was sometimes embarrassed into a sort of racialism – like being ashamed of belonging to the human race,” Mary Jayne Gold wrote in her Crossroads Marseilles 1940, memoir. Mary Jayne Gold and Miriam Davenport continued to work together and with other Emergency Committee members. At the end of October 1940, Miriam left Marseille for Ljubljana, Yugoslavia, on a mission to bring her critically ill fiancé back to France, but the French refused to grant her a visa. In April 1941, Italy annexed Ljubljana and Miriam and her fiancé were secretly married. They eventually managed to reach Lisbon and sail for the United States, arriving safely on Friday, December 12, 1941, five days after Pearl Harbor. In September 1941, the Vichy French government expelled Varian Fry and his Emergency Rescue Committee under an “ordre de refoulement”, labeling him an undesirable alien for protecting Jews and anti-Nazis. Mary Jayne Gold and Miriam Davenport continued to correspond after Miriam left Marseille and after both had returned to the United States. After World War II ended, Mary Jane Gold returned to France and settled in a villa on the Riviera in Gassin, France. She neither married nor had any children. 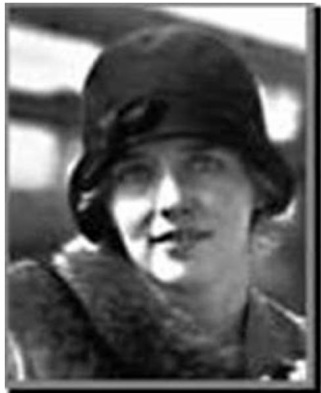 When she returned to America, Miriam Davenport worked for various worthy causes including the International Rescue and Relief Committee and the NAACP Legal Defense and Educational Fund. She married Professor William L.M. Burke, a wartime colleague and Director of the Index of Christian Art at Princeton and she managed the Princeton office of the Emergency Committee of Atomic Scientists for Albert Einstein. The Burkes moved to the University of Iowa in 1951 and Miriam completed her graduate work in art and exhibited prize winning paintings and sculpture. Widowed in 1961 and pressed for funds, she taught art and French in Riverside., Iowa where she met and married Charles Ebel, an archaeologist and scholar in ancient history. Returning to the University of Iowa, she taught French and earned a Ph.D. in 1973. The Ebels later moved to Michigan where Dr. Charles Ebel taught history at Central Michigan University and Miriam continued her research and publishing in French 18th century literature. Miriam Davenport Ebel actively participated in all projects and events surrounding the Varian Fry mission and she played a central role in a documentary about the mission by Pierre Sauvage called And Crown Thy Good: Varian Fry in Marseille. One golden September day in 1999, her family and friends laid her to rest in the Iowa fields that she loved so well. Mary Jane Gold is buried in the Pilgrim Home Cemetery in Holland, Michigan. Fry, Varian. Surrender on Demand. Third edition. Boulder: Johnson Books, 1997. Gold, Mary Jayne Gold. Crossroads Marseilles, 1940. Doubleday, 1980. Guggenheim, Peggy. Out of This Century, Confessions of an Art Addict, (Foreword by Gore Vidal. Anchor Books, 1979. Marino, Andy. A Quiet American: The Secret War of Varian Fry. St. Martin’s Griffin, 2000. Ryan, Donna F. The Holocaust and Jews of Marseille: The Enforcement of Anti-Semitic Policies in Vichy France. University of Illinois Press, 1996.